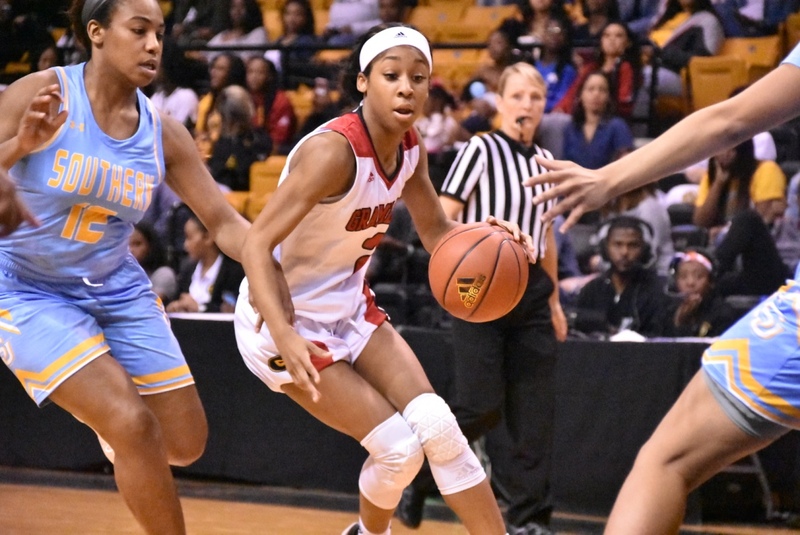 Grambling’s Shakyla Hill has now recorded two career quadruple-doubles, making her the first NCAA D1 athlete ever to do so. Shakyla Hill. You know the name, right? On Saturday afternoon, Grambling hosted University of Arkansas Pine-Bluff. Hill showed up and showed out by recording her second career quadruple-double in GSU’s 77-57 win. Hill’s night ended with 21 points, 16 rebounds, 13 assists and 10 steals. GSU’s WBB team defeated UAPB 77-57! AND Shakyla Hill (@shakylaa_) got her SECOND quadruple double of her career! UAPB showed fight in the first quarter but sent Hill to the line to take the 13-12 lead. Grambling took control with 59 seconds remaining in the first quarter and did not give it up its lead throughout the game. The Lady Tigers went into halftime up 36-25 and Hill already recorded 11 points, 7 rebounds, 6 assists and 6 steals. GSU came out of halftime and went on a 20-7 run to take a 21 point lead, its largest lead of the night. The run was capped by a fastbreak layup from Hill with 1:21 remaining in the third quarter. GSU controlled the game throughout and outscored UAPB in all four quarters. Four Lady Tigers scored in double figures in the home conference win. Hill continues to be a trailblazer not only in HBCU and women’s hoops, but college basketball in general. Hill is now the first NCAA Division I athlete, man or woman, to record two career quadruple-doubles. She collected her first in January 2018 in a conference win over Alabama State. Hill has been on a hot streak, to say the very least, going on a month now. Last Saturday she recorded an 18 point, 10 rebound double-double in Grambling’s narrow home loss to Jackson State. Before that she redefined “coast-to-coast” and sealed a clutch road win over Prairie View A&M. Hill averages 19.2 points-per-game and is the current SWAC scoring leader. She is also second in the conference for rebounding, averaging 9.1 per game. Hill has put up a double-double, two triple-doubles and a quadruple-double through the Lady Tigers’ last six games. Selflessly, Hill feels she went out and simply did what the team needed and just happened to record a quadruple-double while doing so. She also is still waiting on that long overdue visit from LeBron James. The defending SWAC champions are in second place in conference standings and have won four of their last five games. GSU will be back in action on Monday hosting Mississippi Valley State. Tip-off is at 5 PM CT.